Fusion TV just announced their new drag queen docu-series, Shade: Queens of NYC, and we got an early sneak peak at the show’s first trailer. 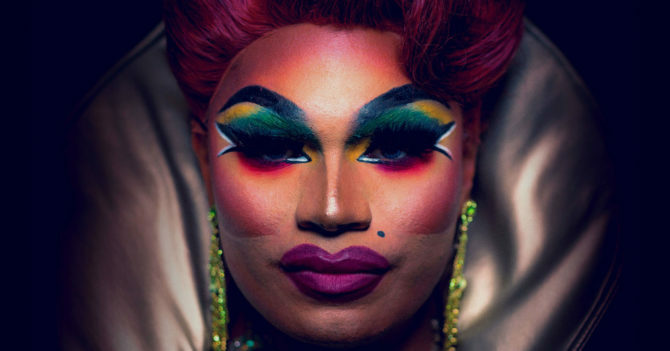 The 12-part series will feature some of the fiercest New York City drag queens including Brita Filter, Chelsea Piers, Holly Box-Springs, Jada Valenciaga, Jasmine Rice LaBeija, Marti Gould Cummings, “Showbiz Spitfire” Paige Turner, and Tina Burner. Watch the first trailer below and tune in to Fusion TV on October 5th at 10:30pm to watch the premiere episode.